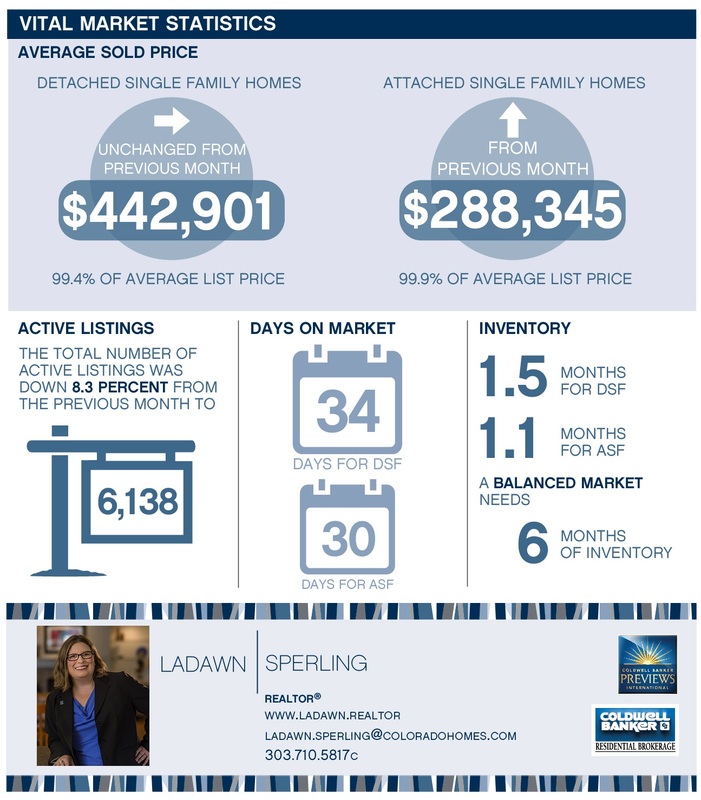 The percentage of homes selling in seven days or less decreased. The list-to-close price ratio decreases resulting in fewer bidding wars. For sellers, this means the market remains favorable and the odds of selling high, and for buyers it means they can take more time in their approach to buying a home. Based on information from REColorado®, Inc. provided by Land Title for the period of Sept. 1, 2016, through Sept. 30, 2016, for Adams, Arapahoe, Broomfield, Denver, Douglas, Elbert and Jefferson Counties. Note: This representation is based in whole or in part on content supplied by REColorado®, Inc. REColorado®, Inc. does not guarantee nor is in any way responsible for its accuracy. Content maintained by REColorado®, Inc. may not reflect all real estate activity in the market.